It elicits fear in some and pure joy in others. Don't get me wrong, warm apple pie with vanilla ice cream is on my list of happy places. 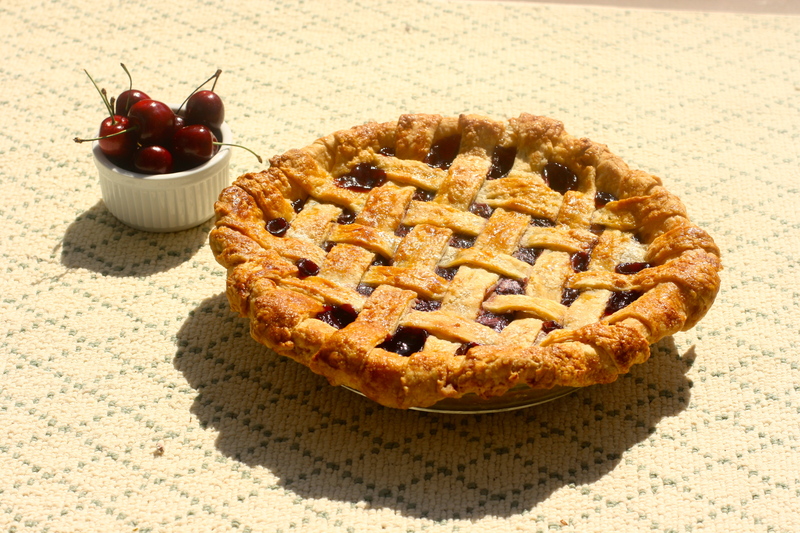 However, when it comes to making pie, I fall somewhere in the middle. I attribute my trepidation to intimidation. 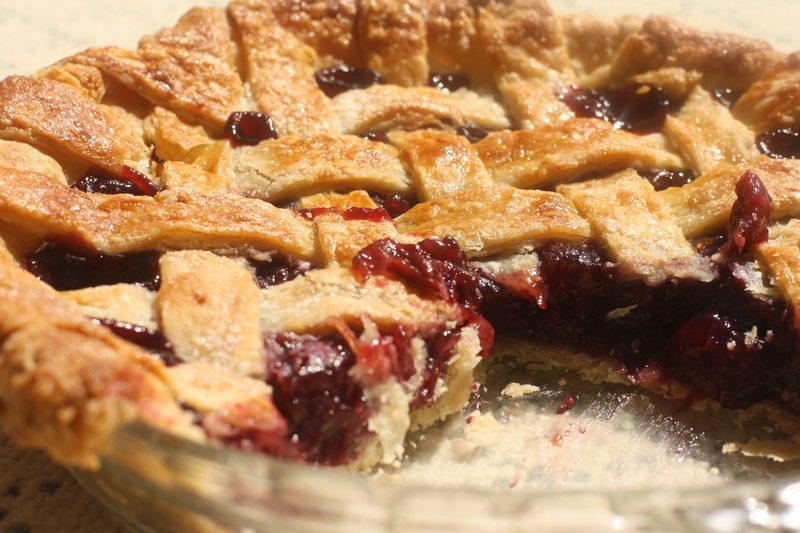 The pie is the unofficial test of any respectable baker. 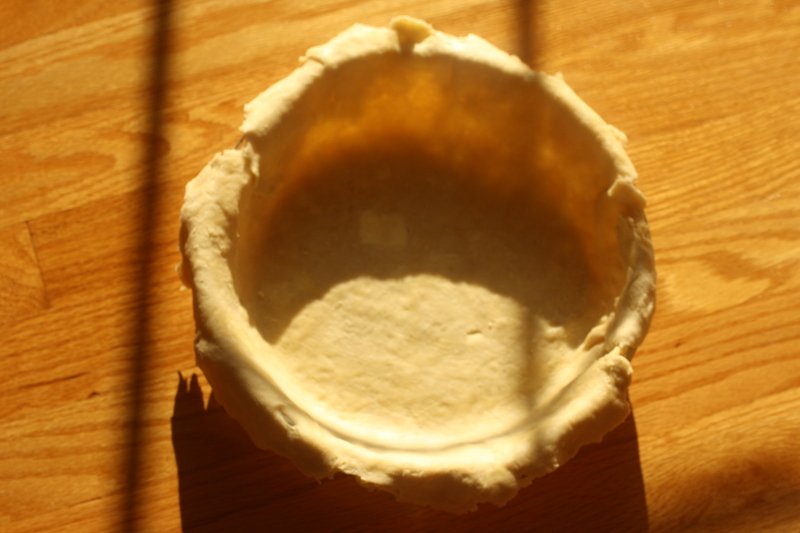 And the proof is in the pudding crust. Not flaky enough? Ya fired. Crust too brown? Get outta here. While there are only a handful of ingredients in any pie dough recipe, the way in which they are handled is what separates the Sandra Lee's from the Ina Garten's. 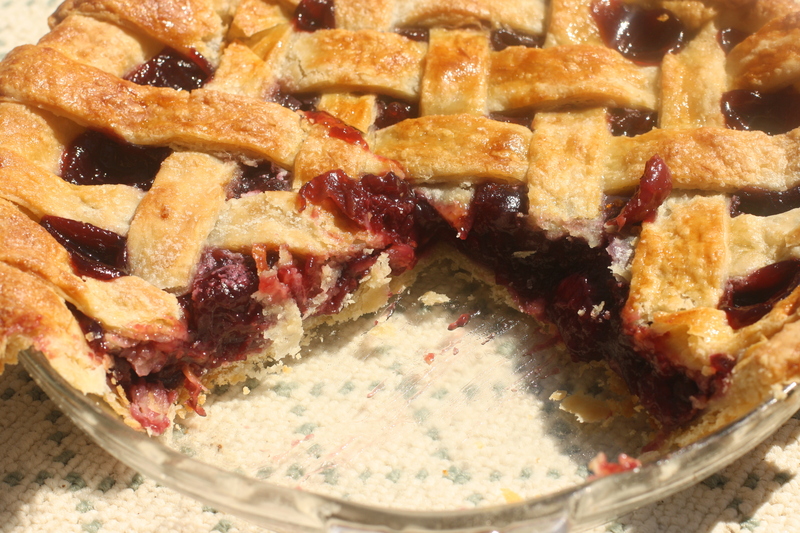 Nevertheless, I feel that a pie is ultimately worth extra effort. 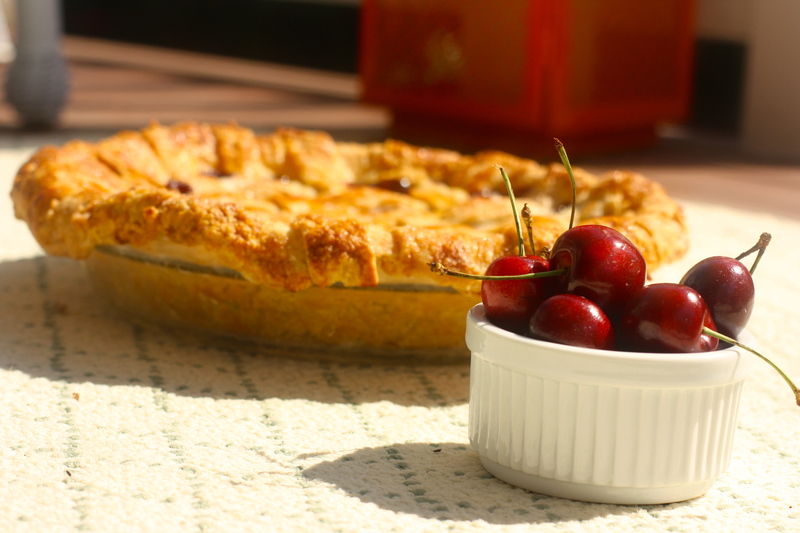 In the increasingly modern culinary world filled with foams and powders, the pie is the essence of simplicity and comforting reminder of what cooking is. 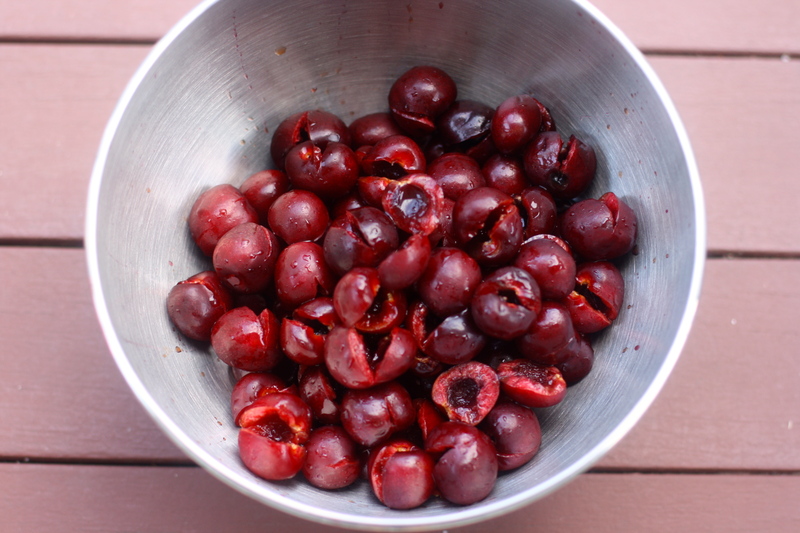 And so, with a few pounds of freshly-picked cherries with a fleeting lifespan, I put all fears aside and opened up my bag of flour. I was up for the challenge. 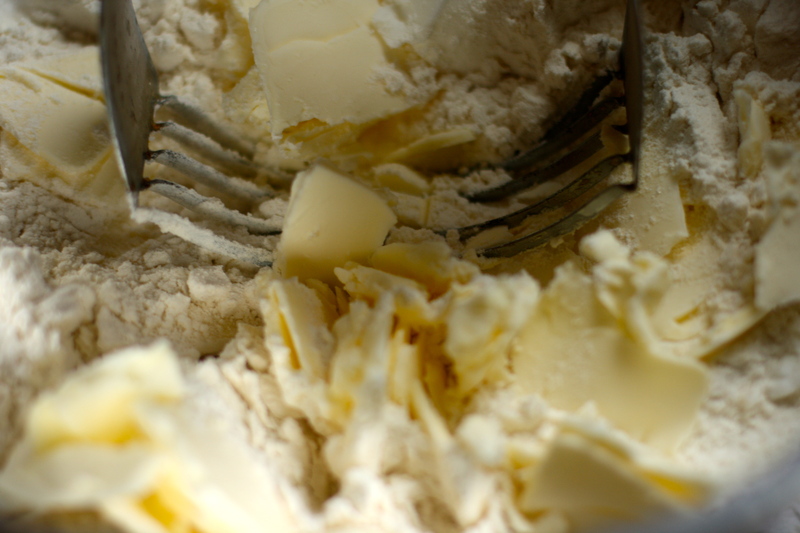 For the dough, before you start anything, place butter and shortening directly in the freezer. This step is crucial to ensure flakiness. 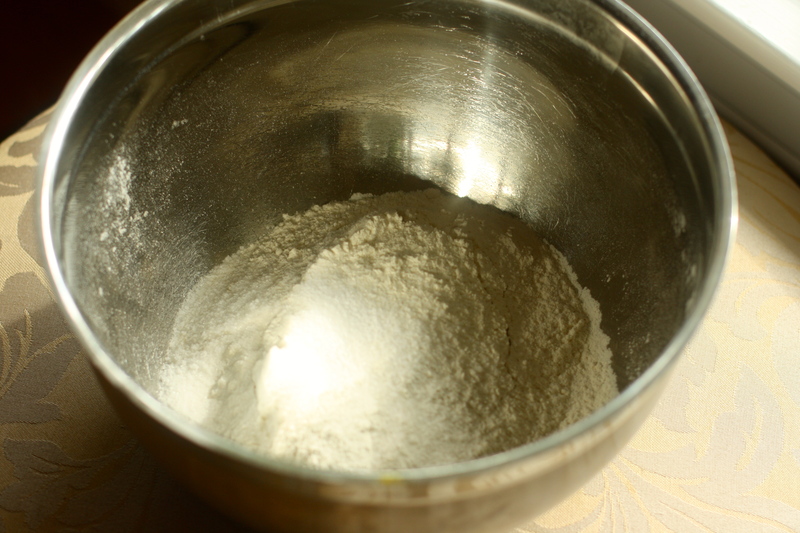 Sift the flour, sugar, and salt into a large bowl. 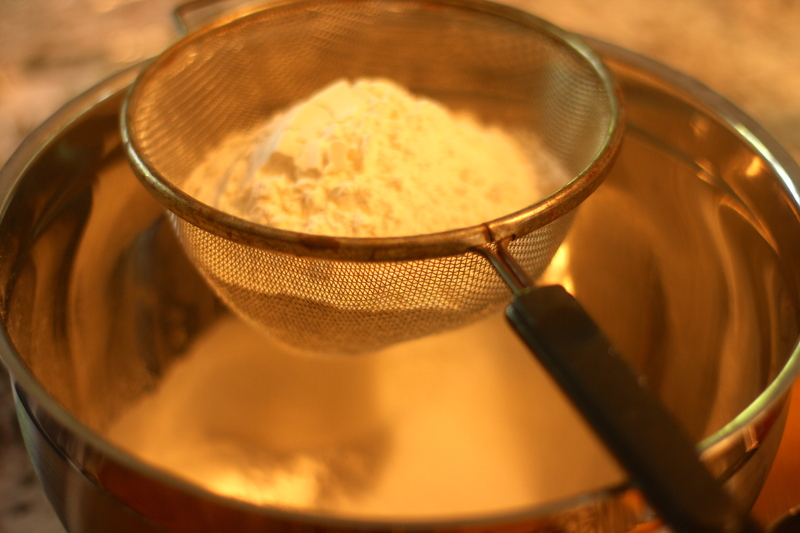 Add the well-chilled butter and shortening to the flour mixture. 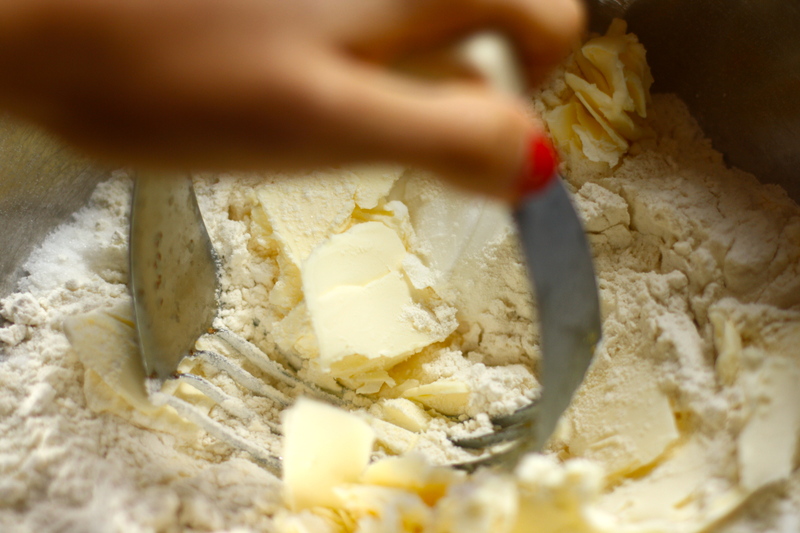 In order to ensure that the butter incorporates easily, grate it using the widest setting of a cheese grater. 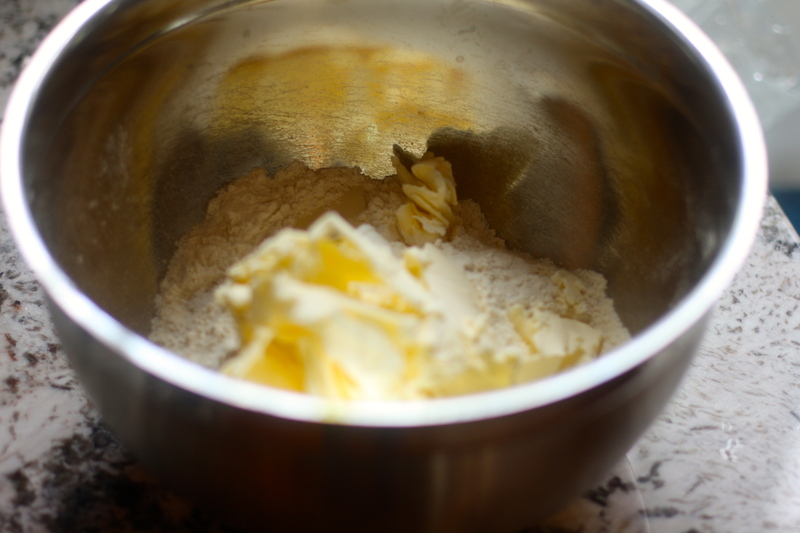 With a pastry cutter, cut the butter and shortening into the flour mixture. This step requires a liberal dash of muscle. 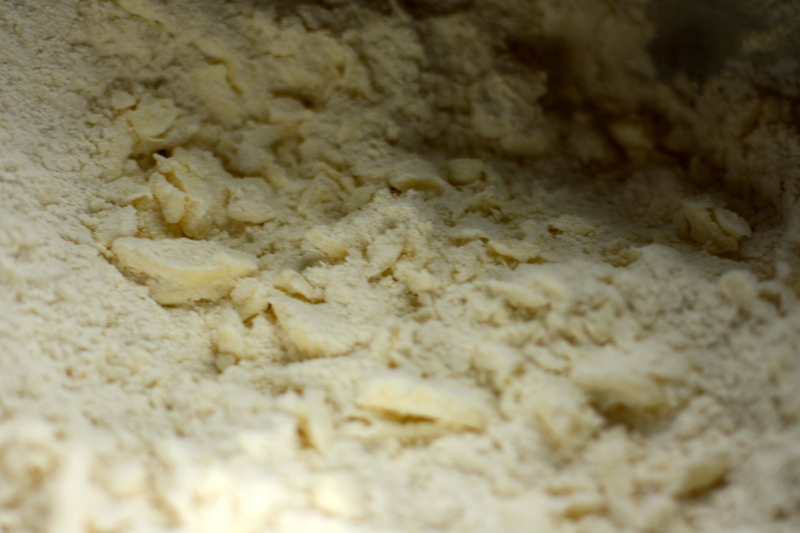 Slowly add the water to the flour-butter mixture. Mix just until the dough starts to come together. 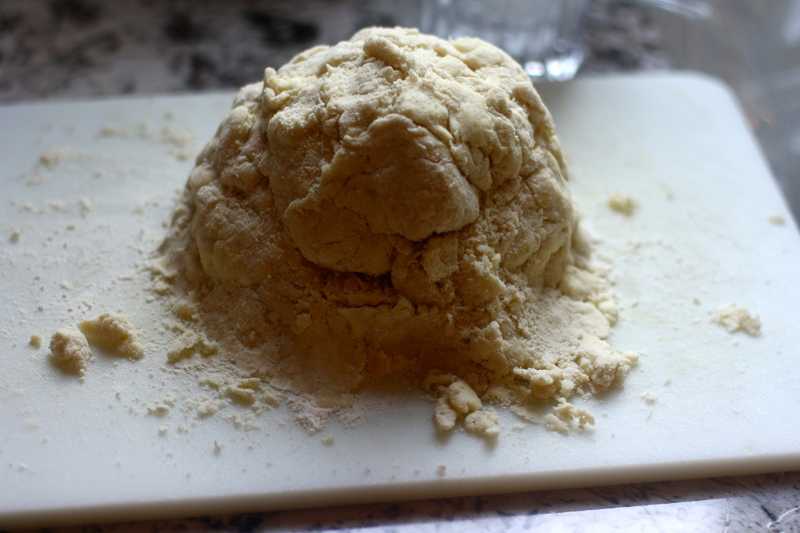 Transfer the dough to a well-floured surface and form into a ball. 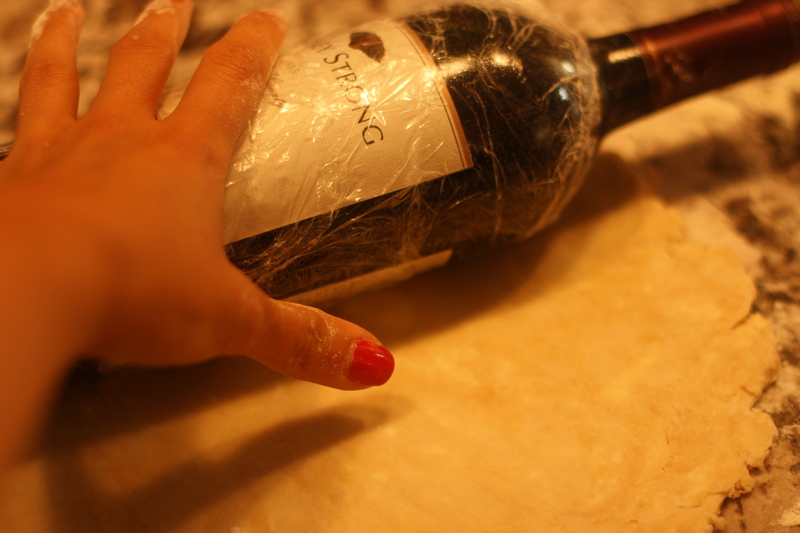 Wrap the dough tightly in plastic and refrigerate for at least one hour, or up to 24 hours. 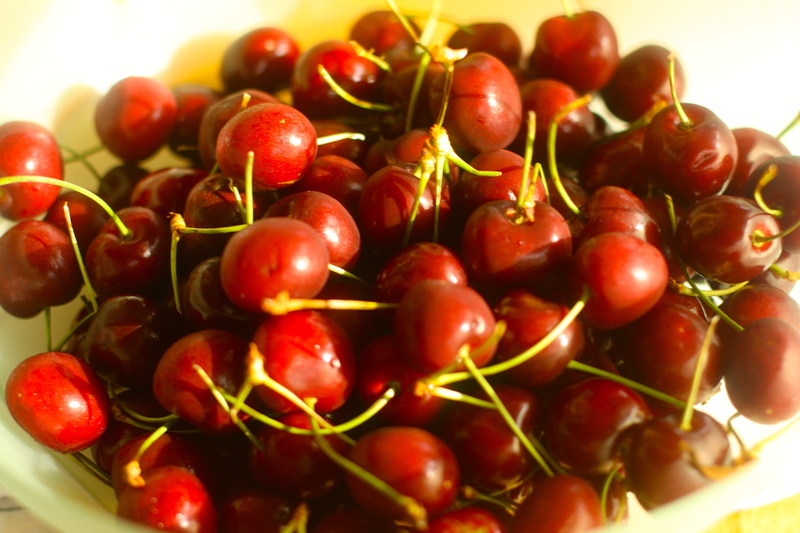 Pit the cherries. 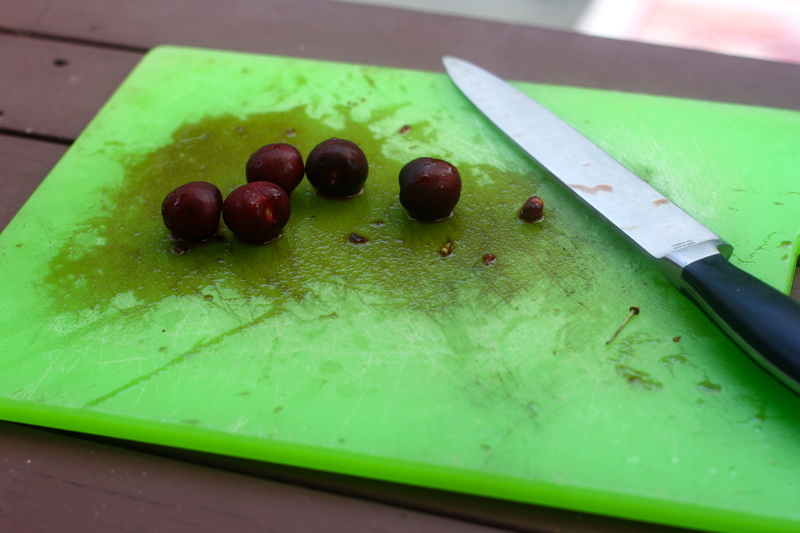 There are specific "cherry-picking" tools, but alas, I do not own one. I found the dull side of a large knife and the heel of my hand to work just fine. 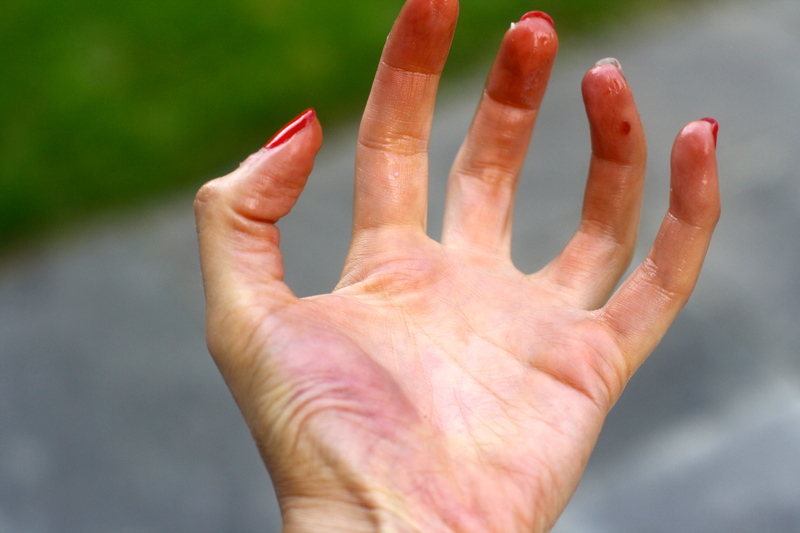 One of my favorite aspects of baking is the opportunity to embrace my inner child and play my food/get a little messy. 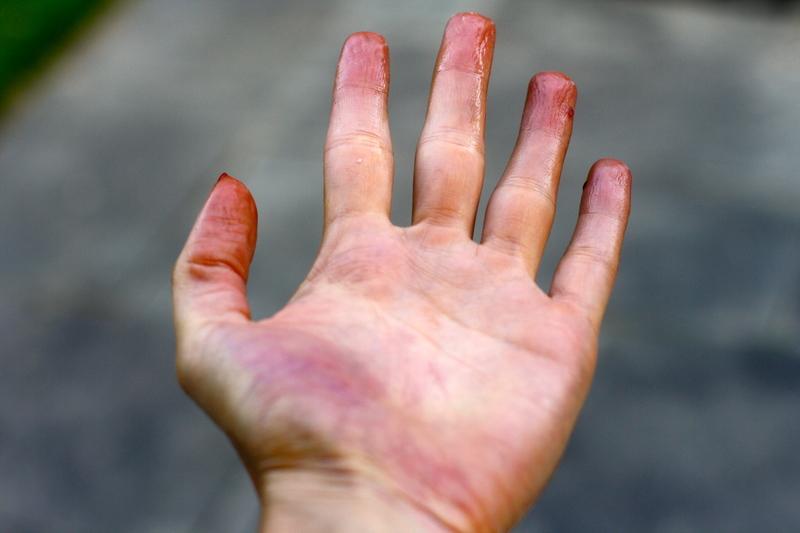 So cherry-blood-stained hands make me smile. But I digress. 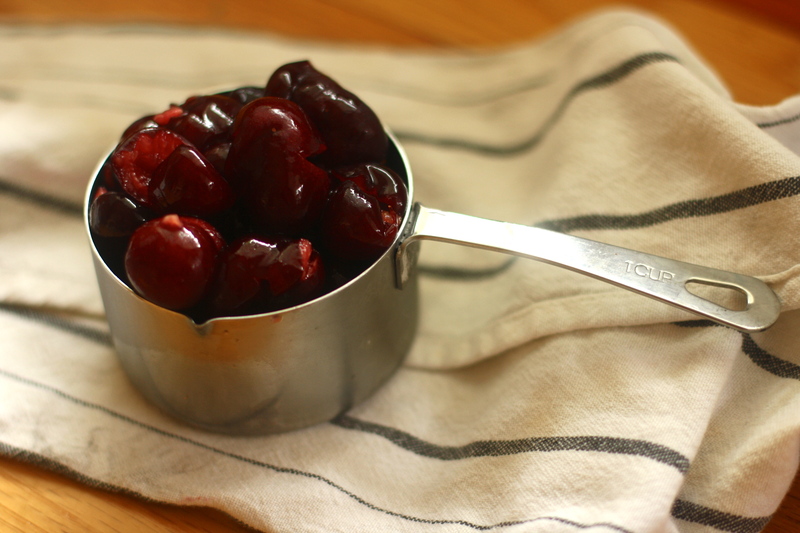 Once your cherries have been pitted, place them, along with the juices, into a heavy-bottomed sauce pan over medium heat. 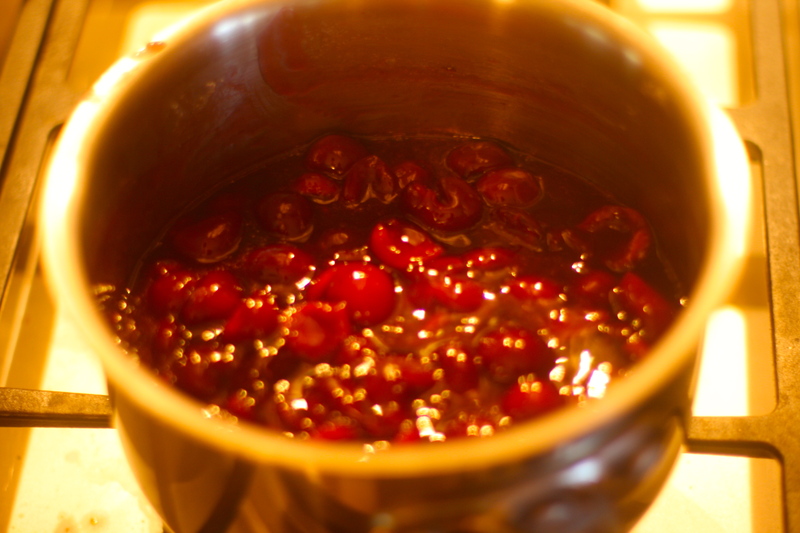 Cook until the cherries release some of their juices. Remove from the heat. 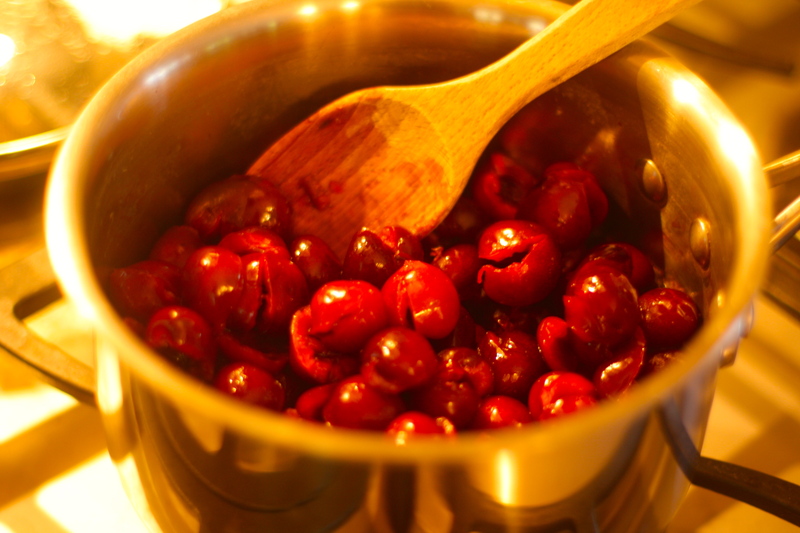 Add 1 cup granulated sugar and 4 tablespoons cornstarch to the cherries. 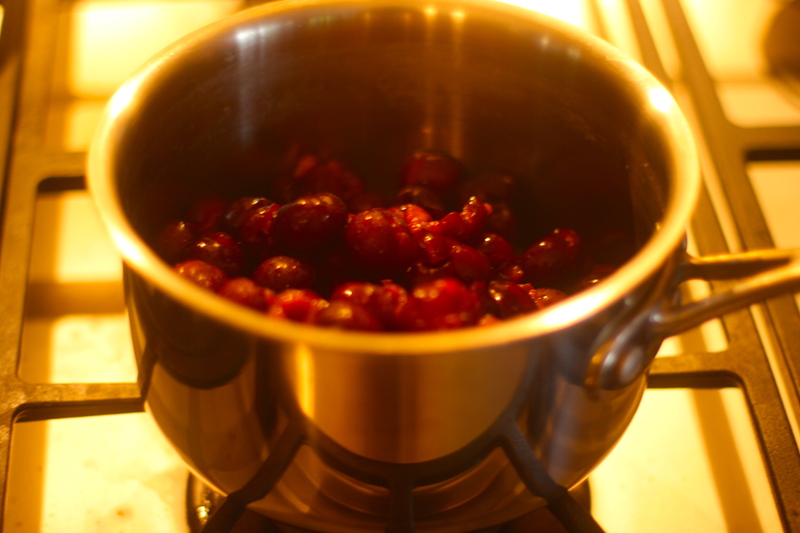 Return to the heat and cook over low heat, stirring constantly until cherry mixture is thickened. 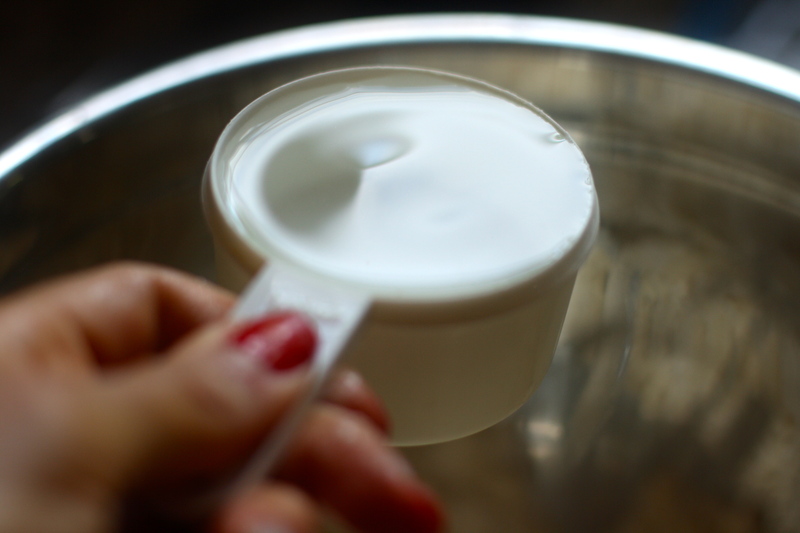 Remove the pan from the heat and add the vanilla and almond extracts. 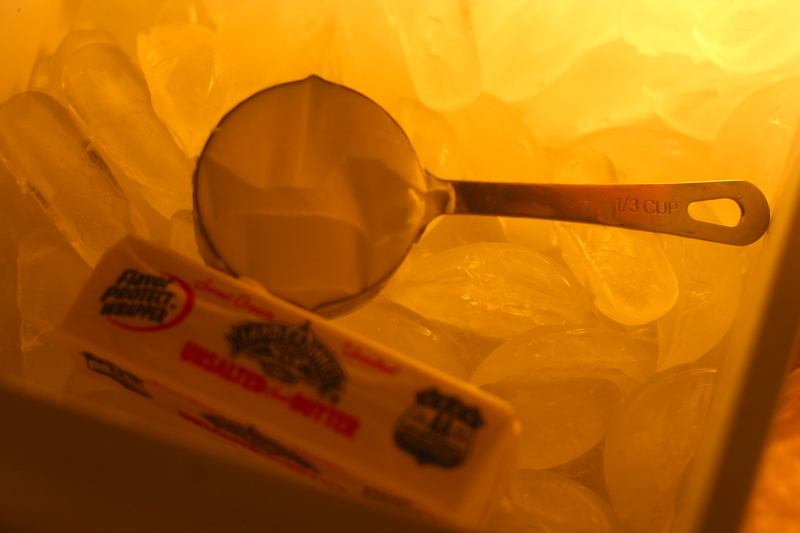 Allow to cool to room temperature. Next, let us return to the oh-so-demanding, yet oh-so-rewarding, dough. 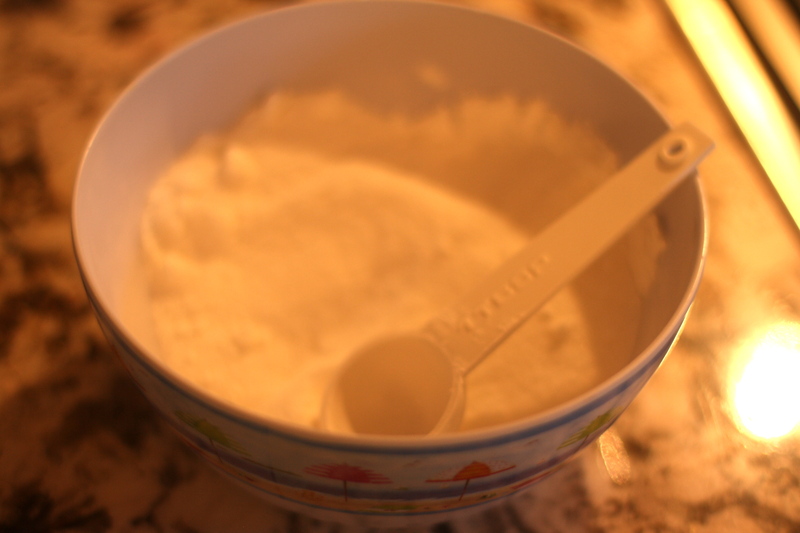 Liberally dust a a cutting board/surface with flour. 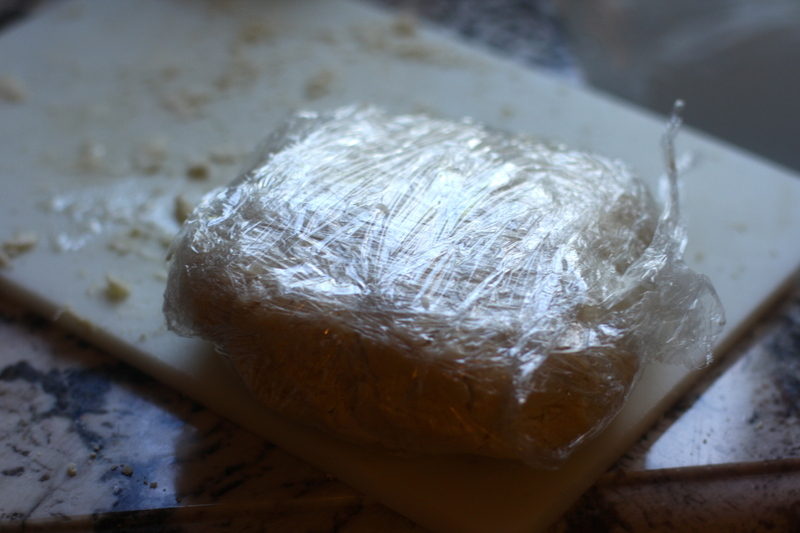 Divide chilled dough into two equal pieces. Select your rolling pin of choice. 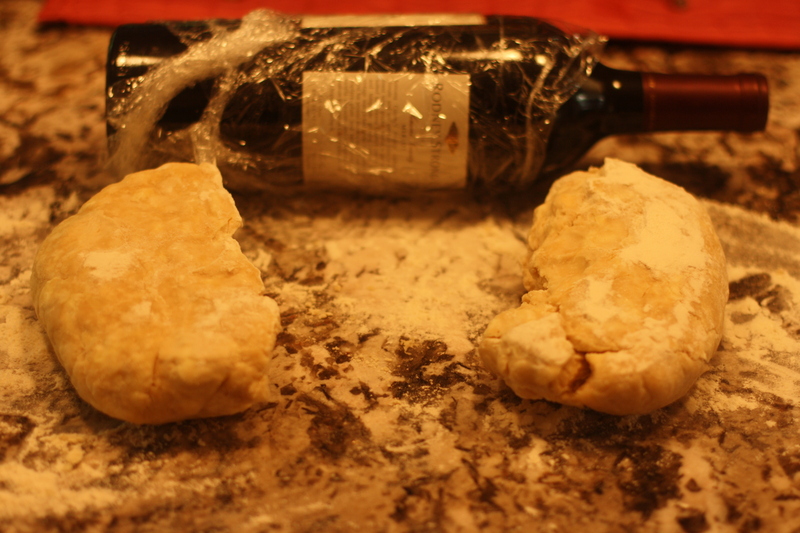 Without my trusty rolling pin, I went with the next best alternative: a wine bottle. It's a Merlot. Roll it out. 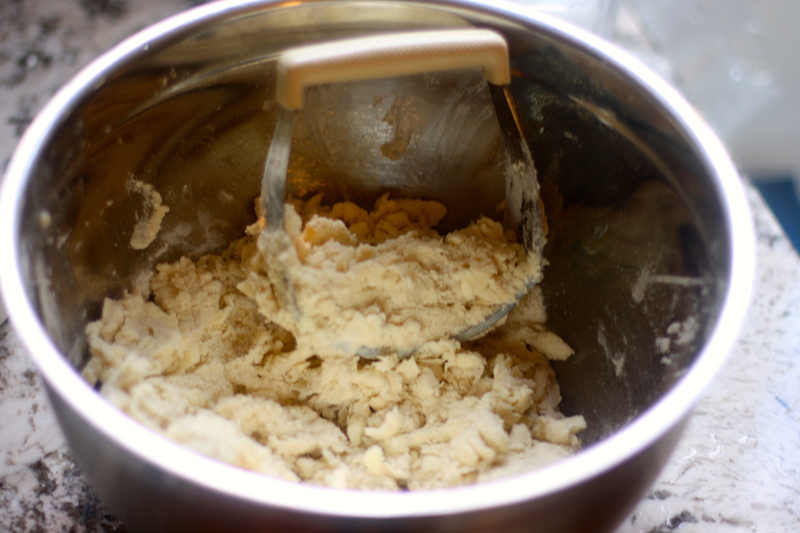 You want to work quickly here so that the dough remains cold and the butter and shortening do not melt. It's all in the name of flakiness. 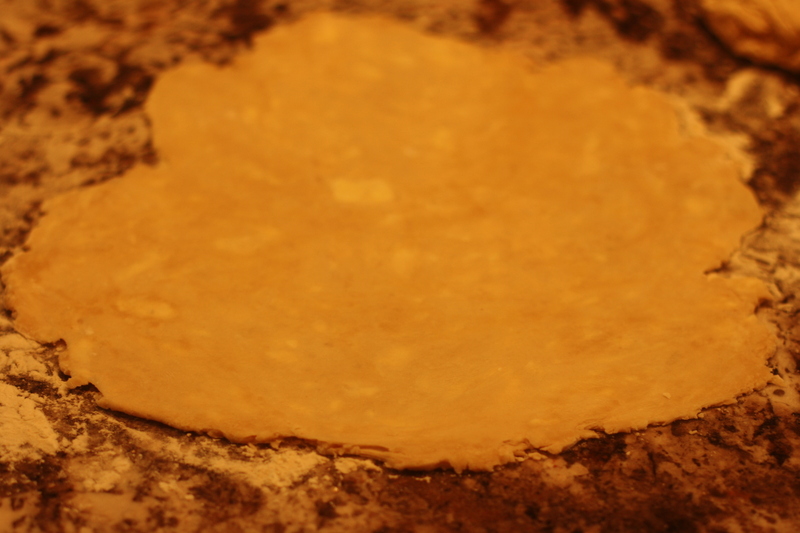 Place dough in 9-9.5" glass pie pan, leaving about a 1-inch border. 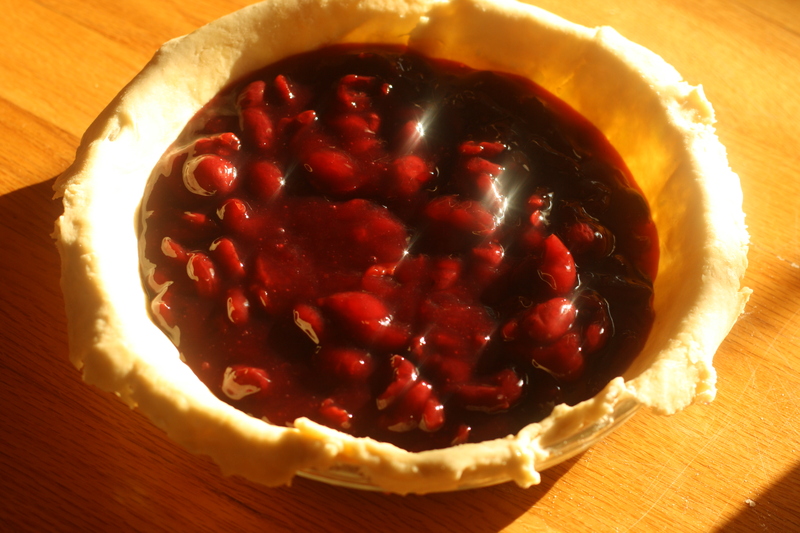 Add cooled cherry filling. Dot the top with the remaining pieces of unsalted butter. Place the second piece of dough on top. 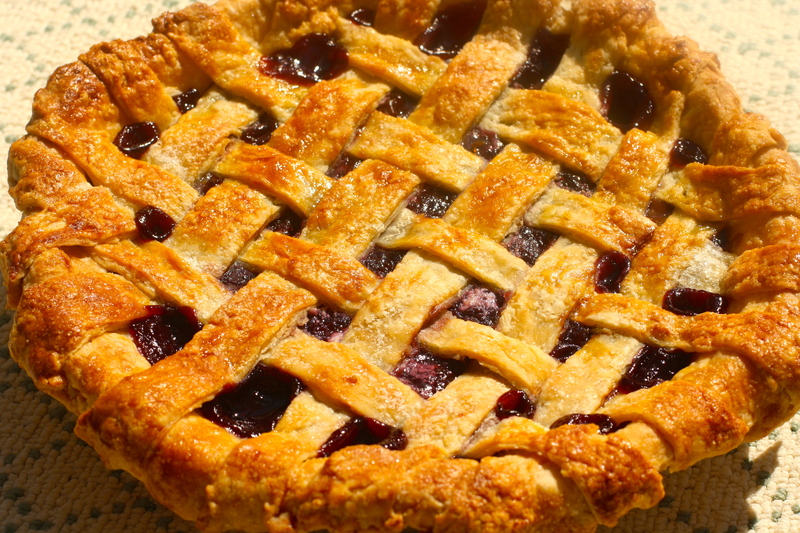 I went with a lattice design, but you could easily just roll out the second piece, cover the pie with it, and cut a few slivers in the dough to allow steam to escape. Pop her in the oven (preheated to 375 degrees Fahrenheit) and cook for 40-50 minutes. The edge of the crust will most likely brown quicker than the center. 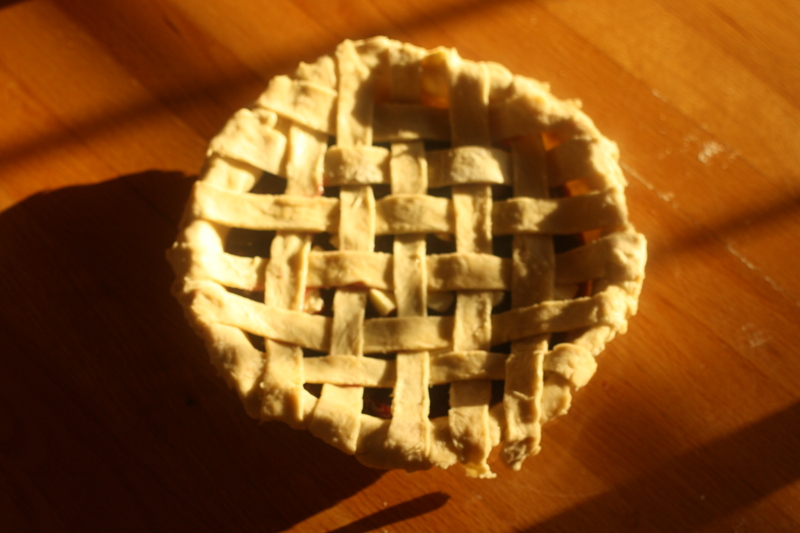 In that case, wrap crust in aluminum foil and continue baking pie until crust is golden brown and filling is bubbling. 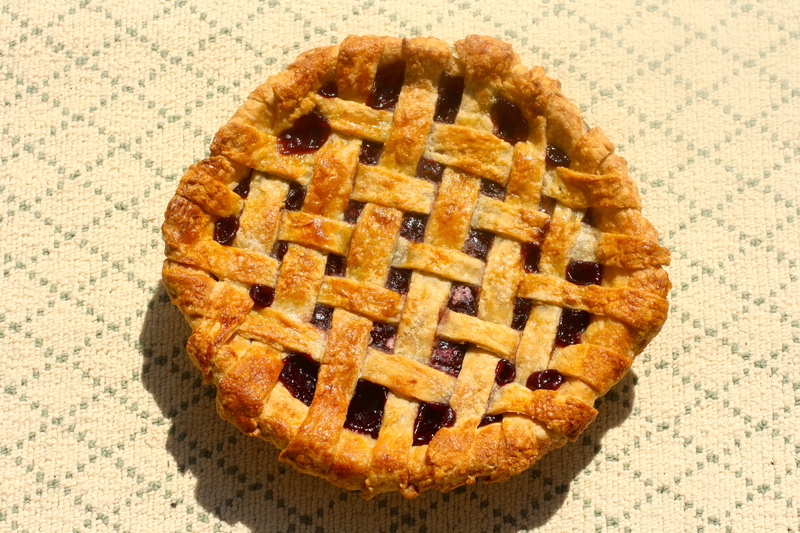 It goes without saying that this pie should be served with a generous scoop of vanilla ice cream.